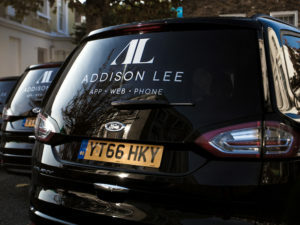 Addison Lee says more direct anti-pollution action is needed rather than removing the Congestion Charge exemption for PHVs. So says Andy Boland, CEO of private hire giant Addison Lee, in an open letter to Mayor of London Sadiq Khan ahead of possible changes. Transport for London (TfL) announced two weeks ago that it was looking into the impact of removing the Congestion Charge exemption alongside other proposals intended to ensure “London remains the world leader in regulating taxi and private hire services whilst maintaining the safety of passengers”. Depending on the outcome of the work on the removal of the Congestion Charge exemption, this could be subject to a public consultation. However, in his letter to Sadiq Khan, Boland said that such a move would seriously jeopardise TfL policy goals of ensuring that London has ‘a safe, secure, accessible world-class taxi and PHV service with opportunity for all providers to flourish”. Highlighting the highly competitive nature of the capital’s PHV industry, Boland said the move would be unlikely to impact on fares – as he hinted that some providers such as Uber would absorb the costs to keep fares “artificially low” – while the move would mean other operators “who have to work to economic norms and do not have the ability to absorb the Congestion Charge, would see these additional costs bourne by drivers”. And with Addison Lee data indicating that removing the Congestion Charge exemption would cost drivers £250 each per month, he said the increased cost would force some out of business while taking away money from the industry and drivers to invest for improvements in safety standards. Arguing that PHVs should be treated no differently to black cabs with regards to Congestion Charge exemption, Boland said environmental objectives could be better met by continuing to focus on the forthcoming Ultra-Low Emission Zone to ensure all vehicles entering central London are clean – and to introduce further requirements which would see an earlier end to oldest vehicles being relicensed. He also said Addison Lee was keen to work with TfL and with City Hall on the installation of more electric charging points to enable the conversion of private hire fleets to electric power. “Our argument is to tackle the source of pollution directly, rather than to distort an industry important to the transport infrastructure of London by selectively imposing a tax on PHV drivers,” he finished.